From legendary filmmaker Paul Verhoeven, [RoboCop (1987) ; Basic Instinct (1992); Showgirls (1995), Starship Troopers (1997); Black Book (2006)] the controversial Elle is a gripping psychosexual noir thriller. Envelope pushing and multi-layered, the film recalls the ambience of Hitchcock, De Palma and Polanski, with a thrilling cerebral edge. 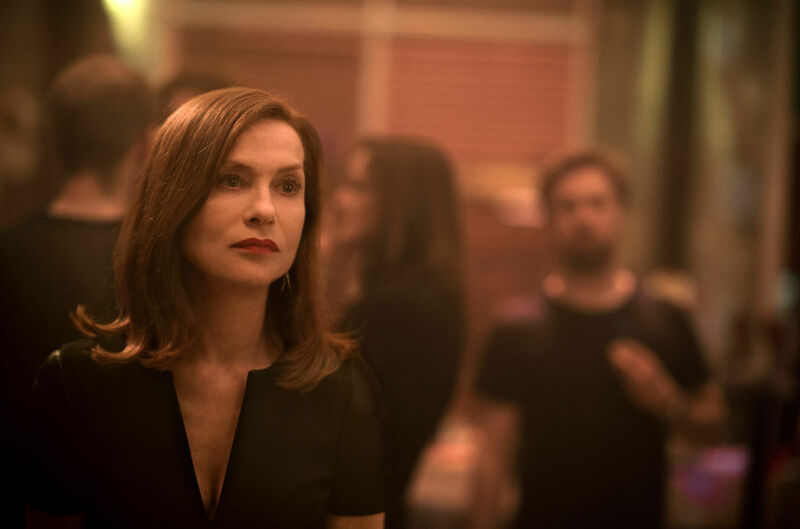 Starring illustrious French actress Isabelle Huppert in a career-defining role, Elle is already one of the most talked about films of the year. As an opportunity to showcase great acting range Isabelle Huppert [Valley of Love (2015); The Piano Teacher (2001); The King’s Daughters (2000)] it is audacious and deeply unsettling. Huppert is Michèle LeBlanc; founder and CEO of a successful video game company, who is attacked in her own home. Taking what appears to be a desire to shrug off the terrifying incident, she locks the door after her attacker and refuses to tell the police. Then in keep calm and carry on mode Michèle begins to track down her assailant, and soon they are both drawn into a curious and thrilling game, one that at any moment may spiral out of control. With her exquisite beauty and icy hauteur Michèle seems to dislike everyone in her circle. Her employees at the video company where she produces violent video games get short shrift or are bullied. She commits spiteful acts to her friends and relatives and seems to delight in making people feel uncomfortable and in turn none of the other protagonists seem likeable. A grim, violent and very troubling and disturbing, complex character study which will certainly not be for everyone but with another powerful performance from Huppert. Images courtesy of Sony Pictures.